Penns Woods Bancorp, Inc. is the bank holding company for Jersey Shore State Bank (JSSB) and Luzerne Bank (LUZ). As a growing financial institution, they understand they are in the pool of prime targets for cyberattacks. 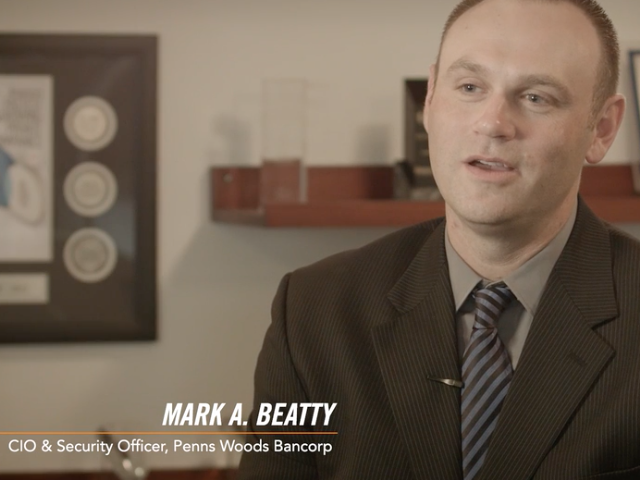 Watch this video to hear why Mark Beatty, CIO & Security Officer at Penns Woods Bancorp, relies upon Alert Logic to detect intrusions and thwart breaches.